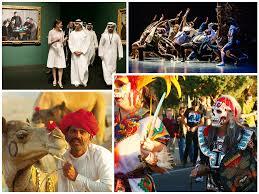 Some festivals are an experience that you shouldn’t miss regardless of culture and location. For one, they might be fun but they also teach a little about tradition and history. Celebrated by Indians worldwide, it is also known as the Festival of Colors. This festival welcomes spring as it celebrates the end of winter. While it is fun, it is also free and safe to take part in. This festival is a tradition since the 13th Century. Masked celebrities are the highlight of the Carnevale. So, it should come as no surprise that people come from all over the world to take part. This festival takes place between February 14 to March 4 every year. Tomorrowland is one of the biggest EDM festivals in the world. Almost 100,000 visitors attend this festival to dance the night away. This festival occurs between June 27-29 since 2014. If you want to party like there’s no tomorrow, then this festival is the place for it. With parades and parties on offer, there’s a lot of food and drink too. It takes place on the Tuesday before Ash Wednesday. Known as the biggest beer festival worldwide, Oktoberfest is still celebrated around the world. In 2013, the festival sold $96 million worth of beer every day. This festival occurs in the last weeks of September to the first week of October.